Renée-Marie Stephano, JD is president and co-founder of the Medical Tourism Association®, editor-in-chief of Medical Tourism Magazine® and the Health and Wellness Destination Guide Series of books and founder and CEO of Global Healthcare Resources, the leading global consulting and market solutions firm in Medical Tourism, Destination Medicine, Wellness Travel and Corporate Wellness. Also as founder of Corporate Health & Well-being Association, Renée-Marie is passionate about improving productivity through corporate wellness programs. She brings strategic solutions for the integration of medical and wellness travel, corporate wellness and population health management strategies to destinations worldwide. Ms. Stephano previously served as corporate transaction attorney. Now, she brings her passion to governments and hospitals around the world to develop sustainable medical travel patient programs and strategies and health equity programs, strongly believing one can and should fund the other. She is founder of the International Healthcare Research Center, which publishes the peer reviewed and academically validated Medical Tourism Index® and produced the Arabic Medical Tourism Index in 2016 for Dubai Health Authority. Renée-Marie is a keynote speaker at international conferences, has spoken at hundreds of events and is a featured source of reference for media outlets around the world. 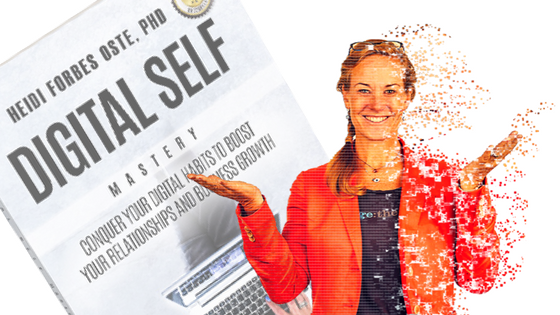 Your order will help support the Evolving Digital Self podcast. If you like it, please feel free to share it with your friends (both the discount and the podcast ).